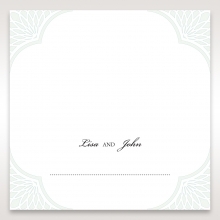 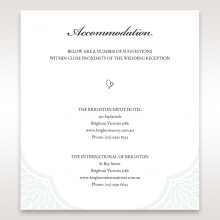 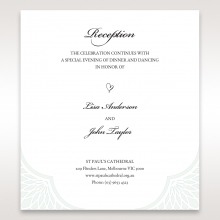 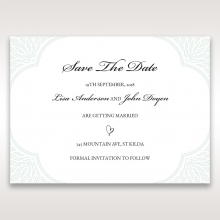 This simple yet stunning wedding invitation is a versatile stationery bursting with style and sophistication that works flawlessly for modern and traditional themed wedding celebrations. 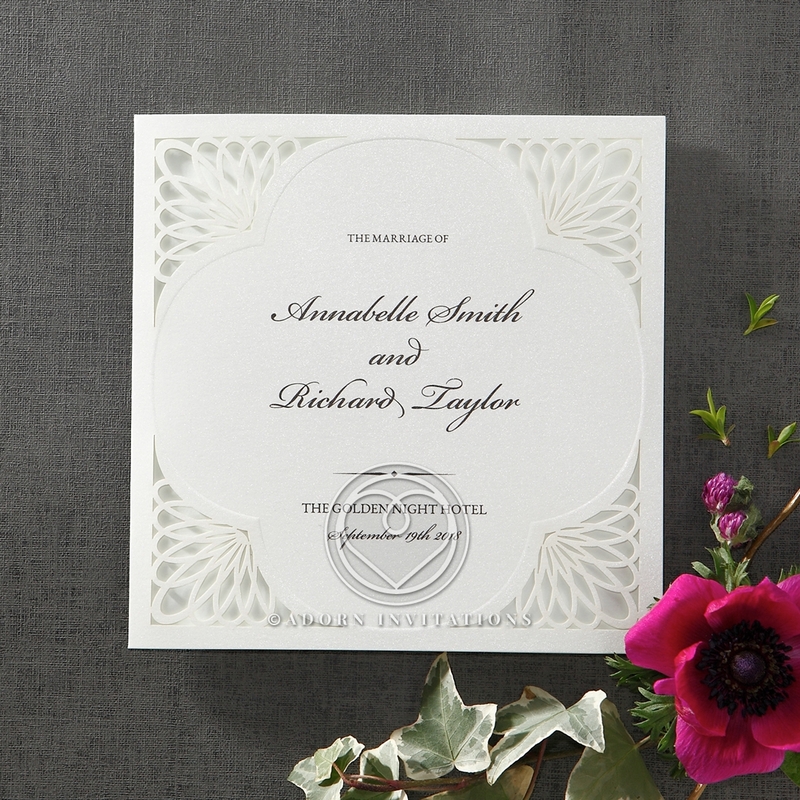 It showcases a palette of refreshing soft mint and pure ivory while boasting an elaborate frame on the edges with intricate detailing by using the latest in laser die cutting software. 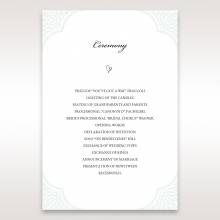 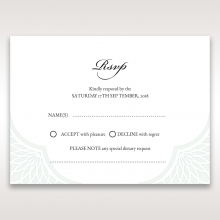 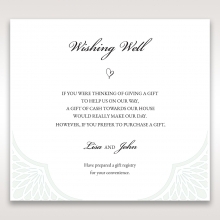 This creation is nothing ordinary as this tri-fold design is unique and ultra-romantic, with customizable options. 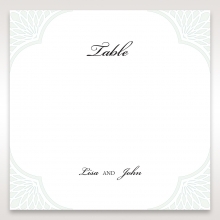 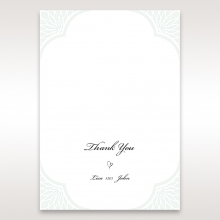 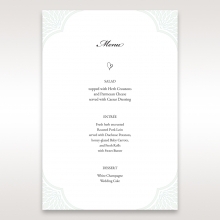 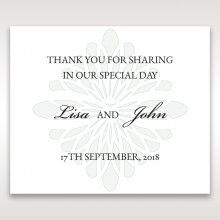 While you and your partner’s names are printed in gorgeous calligraphy or a font style of your choice, the wedding and verse wordings and layouts can be customized for a personal touch.